The failure of wolf culling and the role of media! …a correct and balanced information and need to “sell a story” may be in conflict with each other. I believe that the need to sell a story may lead to stress conflicts, instead of showing balanced points of view and the most scientifically supported solutions to the problems. “Wolf culling was positively related to the number of news on wolf damages per zone, and to paid compensations”. Mr. Dario Botti, the European Wilderness Society consultant, is sharing outcomes of the Spanish research on subject “Wolf culling and the role of media”. Some interesting results emerge from a new research about conflicts of humans-large carnivores coexistence, the way in which they are managed and the methods to solve them. 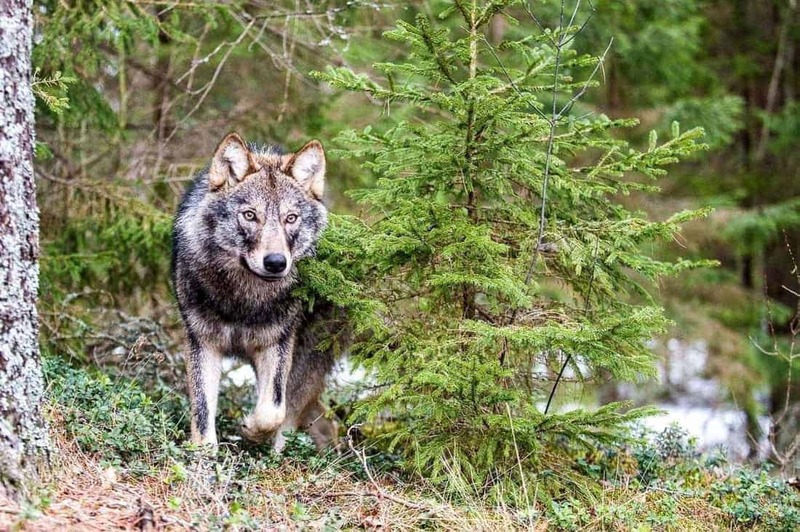 The paper, recently published on the open access journal PLOS ONE, focuses on the two large carnivores living in the Spanish autonomous region of Asturias, the wolf and the brown bear. The former is a game species in most of his Spanish range and it is also subject to culling, while the latter is strictly protected. In the study area, the damages were largely compensated, but this measure, according to the authors of the paper, “did not seem to ease conflict”. The authors considered ecological, economic and societal components of conflicts between humans and predators. Their analysis included, among others factors, abundance of predators, amount of damages and paid compensations, number of harvested ungulates and culled wolves, media coverage. The first important outcome of this study is that “management decisions are at least partly mediated by press coverage”. Thanks to inclusion of both bear and wolf in the study, authors could compare the difference in media coverage of conflicts. They found striking difference in media coverage of bear and wolf conflicts. Indeed, although compensations for damages were fivefold higher for wolf than for bears, media coverage of wolf was thirtyfold higher. Media coverage was unrelated to wolf damages but it correlated positively to wolf culling. In addition, “Wolf culling was positively related to the number of news on wolf damages per zone, and to paid compensations”. I believe that the importance and the influence of the media in contemporary life can hardly be underestimated. However, one may wonder if media are prepared for their important role. In fact, a correct and balanced information and need to “sell” may be in conflict with each other. I believe that the need to sell may lead to stress conflicts, instead of showing balanced points of view and the most scientifically supported solutions to the problems. Furthermore, a correct and balanced information is particularly difficult about ecological problems, because of their inherent complexity. The second important outcome of this study is that culling “is counterproductive from damage-management and conservation perspectives”. While the damages of bear correlated positively to the abundance of the species, damages of wolf correlated positively to the number of wolves culled in current and previous year, to the number of wolf packs and to the number of wild ungulates harvested during the previous season. According to the authors of the research, source-sink hypothesis and the social disruption caused by random culling in such highly social animals could explains the observed effects. Reduced pack sizes and social disruption due to culling could result in an increase of number of wolf packs. In addition, the high risk of human-related mortality could lead to a decline in consumption of each carcass and to a subsequent higher kill rate, as also described by Smith et al. (2015) for pumas living near settlements. The other two important factors affecting damages amount are availability of wild prey (as shown by the positive correlation between wolf damages and harvested wild ungulates during the previous season) and finally, the type of livestock handling. As highlighted in the paper, livestock husbandry practices are a key factor in improving the existing situation. Culling, other than counterproductive on livestock, influences negatively the role of predators in ecosystems. Finally, authors stress the importance to evaluating management of humans-predators also on ethical grounds. I think this research shows that ecosystem complexity can hardly explained by simple cause-effect relationships. Outcomes of ecological relationships are often counterintuitive. Therefore, simple old-fashioned solutions can hardly working well in ecosystem management. Again, due to complexity of ecological interactions, a benefit for some stakeholders (e.g. hunters) could be result in a cost for other (e.g. livestock farmers). A balanced cost-benefits analysis should take into account as many factors as possible to managing ecosystems and ecological conflicts. In addition, other than minimizing conflicts, it would be important enhancing ecological role of predators and other key animals (e.g. beavers) to improve ecosystem self-regulation capacity, ecosystem resilience and free benefits (i.e. ecosystem services).